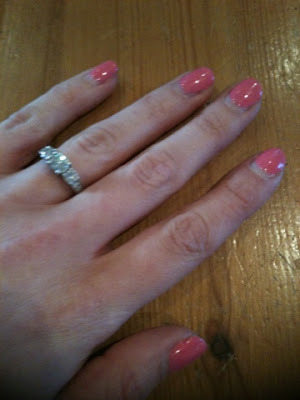 If you read my blog regularly you'll know how much I LOVE shellac nail varnish. The only issue I have is the removal. 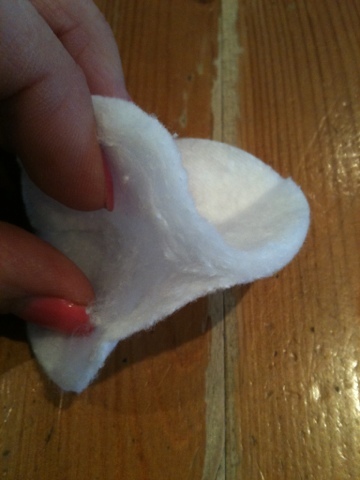 I have previously reccommended other ways of removal, but when I got my last treatment the therapist introduced me to a new way to de-robe your talons, which I thought I'd share with you. Firstly grab some cotton wool, I used pads which I pulled in half and then divided each half into about six sections. 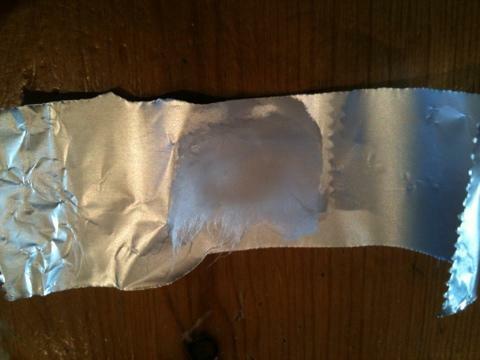 I then dampened the cotton wool with Acetone (£1.50/50ml from my local chemist - its generally behind the counter!) 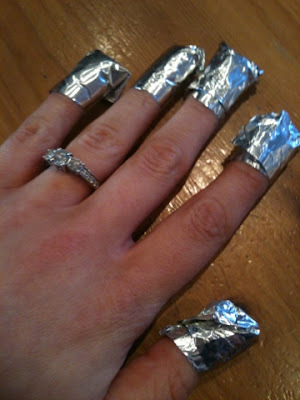 then put in the middle of a strip of kitchen foil and wrap the tips of your fingers. This can be tricky, especially when doing your non-writing hand, my tip is to make sure you have prepared all your strips first, then pop them on. After leaving for about 10 minute take your wraps of and you'll find the varnish has started to peel away, then scrap off the rest with an orange/cuticle stick. 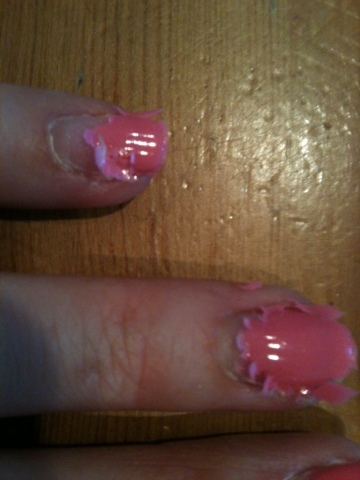 I then buffed my nails to smooth them out and smothered with nail oil. 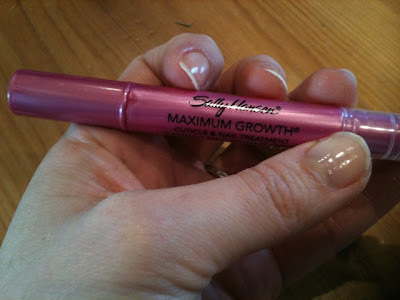 I used Sally Hansen's Maximum Growth Cuticle and Nail Treatment (£5/1.5ml) but even olive oil will help moisturise the nail. 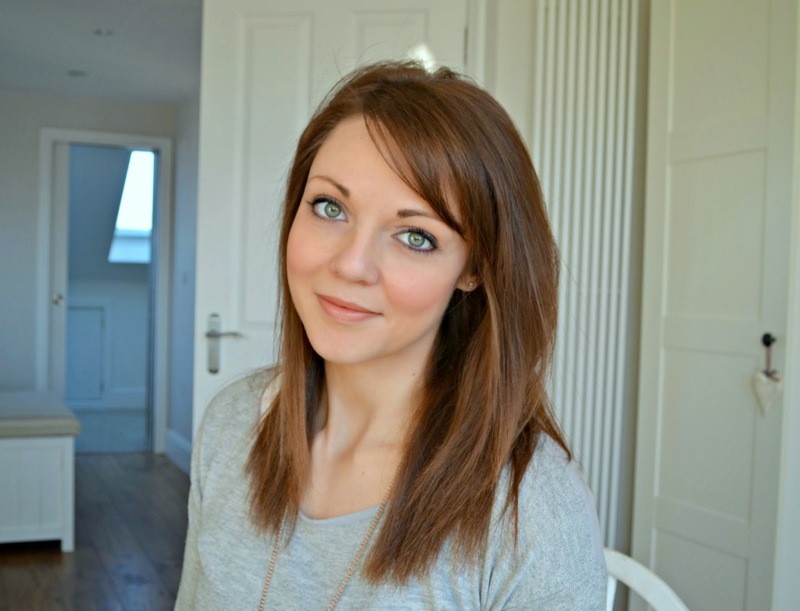 Hope that helpful and saves you paying to get your Shellac removed professionally!